FDA: You’ve got questions, “it” mocks you with answers! The FDA made their business decision(s) about e-cigarettes long ago, and brilliantly convinced the public at large of the “government stance” on e-cigarettes. Now, appearances must be kept up. My assessment is that the intern – crack staff – Mitch Zeller – can’t do anything but give canned responses to anything. When “the government” – as an entity with no emotion, feeling or common sense – takes the stance that “ecig regulations are about public health”, they’re lying to the public. Regulations on e-cigarettes are without question or debate, a fiscal decision. What the FDA and “government” will not recognize refuses to recognize is – while they’ve already made the decision, they’re failing smokers, and making a mockery of people’s lives. If you ask the FDA twitter account a question in a tweet –@FDATobacco “it” will may respond. Maybe. Seems ~it~ is temper mental with the information. Not giving real world answers, there are obvious, no.. oblivious, no… insidious just answers ready to go when it wants to. An agent (who shall remain nameless) :), has compiled this list of “responses” from our favorite FDATobacco ‘bot’ on Twitter. I’ve placed a random answer from the FDA “bot” below each “question” directly from the Twitter account. It’s kind of like playing “Jeopardy”. Some answers don’t correspond to the “question” or comment – although the answers were obviously responded to by “keywords”. @ed_baker After reviewing comments & scientific evidence, FDA sees no appropriate public health justification to exclude premium cigars. Now it’s not –just the @FDATobacco twitter account, it’s also the @US_FDA account. @JA3Alex After reviewing comments & scientific evidence, FDA sees no appropriate public health justification to exclude premium cigars. #Ecig regulations aren’t a ban; they allow manufacturers to apply to have #ecigs brought to, or stay on, the market. @ecigaretteforum #Ecig regulations aren’t a ban; they allow manufacturers to apply to have #ecigs brought to, or stay on, the market. @debostic #Ecigs contain nicotine derived from tobacco so they are a “tobacco product” & are regulated as one. Exposure to nicotine during adolescence can make it easier for youth to get addicted to nicotine. @KalliSnae Some #ecigs contain nicotine. Exposure to nicotine during adolescence can make it easier for youth to get addicted to nicotine. FDA’s mission is to protect Americans from #tobacco-related disease & death. Regulation will have a positive impact. @AlbertMHarper1 FDA’s mission is to protect Americans from #tobacco-related disease & death. Regulation will have a positive impact. It’s never safe for youth to use any tobacco products. @BalboaVape It’s never safe for youth to use any tobacco products. Regulating all tobacco products will have a positive impact on the nation’s health. That is the motivation for this action. @RuigieBilaro Regulating all tobacco products will have a positive impact on the nation’s health. That is the motivation for this action. Regulation allows FDA to fully understand the public health impact of the use of newly regulated products. @ItsMeMeghanCora Regulation allows FDA to fully understand the public health impact of the use of newly regulated products. Regulation helps FDA discern impact of newly-regulated tobacco products on cessation, dual-use, & transition to other products. Regulation & the PMTA pathway allow FDA to receive info on ingredients in newly regulated products. @Sho2daPan Regulation & the PMTA pathway allow FDA to receive info on ingredients in newly regulated products. Science-based regulation helps reduce the public health burden of tobacco use by requiring premarket review of new products. @Joseph_Joe_M Science-based regulation helps reduce the public health burden of tobacco use by requiring premarket review of new products. @markse68 The FDA lacks the authority to change the grandfather date as the law is written. @jd_notapirate The new rule does not eliminate any class of currently marketed tobacco products, including e-cigarettes. The new rule includes provisions for small-scale tobacco product manufacturers (<150 employees & <$5 mil annual revenue). @pissguru The new rule includes provisions for small-scale tobacco product manufacturers (<150 employees & <$5 mil annual revenue). @AshleyHSBO To protect public health, all #tobacco products are being regulated to ensure they are in compliance with safety standards. @Laterlaus_26 Under the Tobacco Control Act, FDA may not eliminate any class of tobacco products, including e-cigarettes. Bottom line? The FDA is giving the illusion of engagement. Typical government propaganda. You may get an answer to your question, but, my fair weathered fellow twitter friends, like David Goerlitz, the “Former Winston Man” already said in 2014…it’s long been decided. “It” is following a script. You’ll do as you’re told. corruption going on at the FDA. Below is a list I compiled – retracted – of what was used mentioning “e-cigarettes” in the US regulations. The FDA’s complete list is here in Section “XXII” References: page 443). 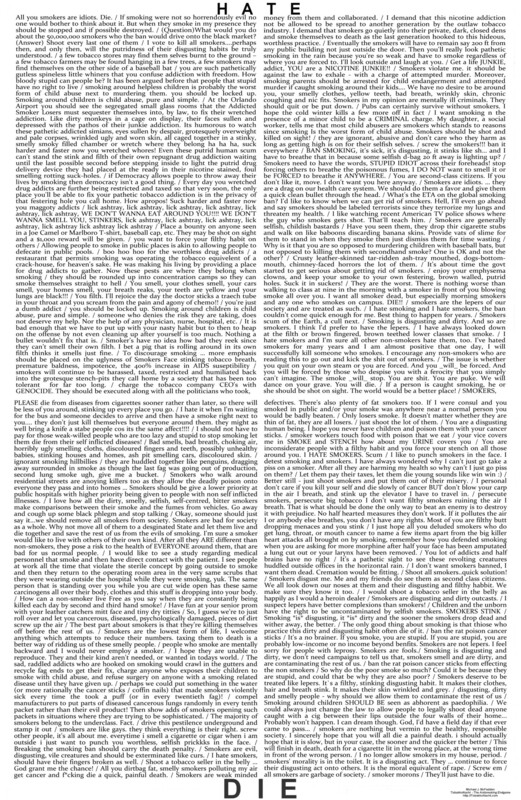 While there were “279 sections” within section XXII, I wanted to see exactly WHAT references they used with e-cigarettes only, a couple links I tried were ALREADY going to “dead links” – One from (dead link) Health Canada and one from (dead link) Senator Malarkey Merkley. ALL U.S. Vapers: DO THIS NOW. You can also find me on Blasting News, and I’ve created a page you can like (hint – hint) on Facebook as well.. Things for you to DO are here. This is funny, even though I think I’m crying more than laughing at this point! As a nonvaper, I keep asking the FDA questions on why they would enact this ban, and all but ensure that my son be exposed to secondhand smoke we could have avoided it e-cigarettes were allowed to continue innovating and developing. That doesn’t even count all my friends who might actually life long healthy lives because they were able to quit. I’ll just keep waiting for the FDA to address my questions… cricket… cricket…. The enactment of regulations by the FDA will do three things. 1. Give the general public the illusion that it is the same as tobacco, keeping those who might have chosen to quit smoking the feeling that it is the same, when we know better – and keep – what they “claim” they want them to stop – smoking. 2. Create revenue taxing it as a tobacco (milk is not beef) product. 3. Regulate innovation and progress into non-existence, keeping the tobacco companies both in business and in charge. Many other aspects, but those three things are quite sad.